“Human salvation lies in the hands of the creatively maladjusted.” — Dr. Martin Luther King, Jr.
Education is the subject of much public debate. Politicians and bureaucrats, educators and parents, students and concerned citizens all have an interest—and a stake—in the way we educate our children. 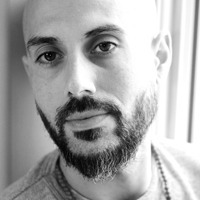 But while much is said about the subject, seldom are the more profound, difficult questions ever asked, questions that require not only changing the way schools are organized and classes are taught, but also require a radical transformation of the very concept of education in the modern world. 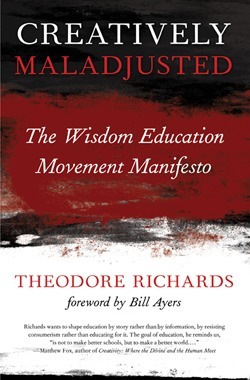 Creatively Maladjusted: The Wisdom Education Movement Manifesto approaches the problem of education from just such a radically new perspective. Nearly every discussion about schools assumes that the goals of our educational system are appropriate and worthwhile. The narrative of the modern industrial world that defines our values and shapes the metaphors with which we understand our world also determines how we shape our schools, our curricula, our children. From the White House to the little red schoolhouse, these values are seldom questioned. The debate about schools is about test scores, productivity, and quantifiable outcomes. Creatively Maladjusted argues that these values both undermine our children’s learning and, in the cases where children are “successful”, guide our children toward destructive, rather than creative lives.